Are you faced with a move? Moving is not easy, but it can be made easier with a little bit of help. In order to have a successful move you should do some planning, and you need to create a budget. The very first thing on your list should be whether or not you are going to hire a moving company, or if you should do the move yourself. If you want to save some money, then a self move is the way to go, but this type of move will stir up its own unique set of questions for you. You are going to need to rent a moving truck, but what size moving truck should you get? This is the number one question that everyone facing a self move has, and it is extremely important that you get the correct size moving truck for your move. This is one case where size does matter. 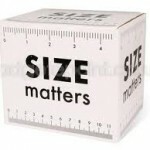 Truckrental.net is here to help you understand which size moving truck is perfect for your needs. Just like everything else in this great big world, moving trucks come in a variety of shapes and sizes. Let’s start small with this guide. Cargo Vans – This is the smallest moving truck that you can rent. It is used for very small jobs like moving half of a room. If you have a big family, don’t even think about renting one of these. 10 foot truck – This is still on the very small size, but it is perfect for a small studio or one bedroom apartment move. You won’t be squeezing very much into one of these. 14 foot truck – This is the next common sized moving truck. You can fit a small two bedroom apartment inside one of these rental trucks. Again, this one is on the smaller size. 17 foot truck – Now we are getting a little bigger. The 17 footer can handle a good sized two bedroom move. It offers a little more space than the 14 footer. 20 foot truck – This is the most common moving truck on the market today. With the 20 foot truck you can expect to move a 3 bedroom home, but if you are still a little uncertain, then stick with the next size up. 24 foot truck – With this truck there will be plenty of space for a good sized three to four bedroom home. You should have no problems getting everything into one of these larger moving trucks. 26 foot truck – This is generally the largest size moving truck that you can rent. Anything larger will require a special license to drive. In the 26 foot moving truck you can expect to pack an entire 4 or maybe even five bedroom house as long as you pack and load everything correctly. This guide should help you decide which moving truck is the perfect size for your move. It is always best to go a little larger when you are renting a moving truck, for more information about moving truck rental click here.